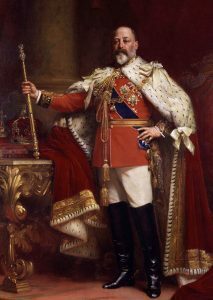 Below is the text of the speech made by King Edward VII in the House of Lords on 12 February 1907. I am happy to say that my relations with foreign Powers continue to be friendly, and I have no occasion to add to the full statement which was laid before you in December reciting a number of satisfactory Agreements recently concluded. The earthquake at Kingston adds one more to the series of calamities which Jamaica and my other Colonies in the West Indies have experienced. I regret the deplorable loss of life and destruction of property in an important city, and I have seen with satisfaction that the emergency has been met by the Governor and his officers with courage and devotion, and by the people with self-control. The occasion has called forth many proofs of practical goodwill from all parts of my Empire; and I recognise with sincere gratitude the sympathy shown by the people of the United States of America, and the assistance promptly offered by their naval authorities. The first visit of an Amir of Afghanistan to my Indian dominions for more than twenty years, and his active survey of leading features in Indian life, have been to me, and, as I understand, to the Amir himself, a source of much gratification, as tending to promote that right feeling which is even more important than formal compacts. In India, while firmly guarding the strength and unity of executive power unimpaired, I look forward to a steadfast effort to provide means of widening the base of peace, order, and good government among the vast populations committed to my charge. Estimates of the National Expenditure for the forthcoming financial year will in due course be laid before you. They have been framed with the object of effecting economies consistent with the efficient maintenance of the public service. A measure of licensing reform will be introduced, with the object of effectively diminishing the evils which result from the sale and use of intoxicating liquors under present conditions. Proposals will be laid before you for more clearly defining the functions of the military forces of the Crown, both regular and auxiliary, and for the improvement of their organisation. Bills will be introduced dealing with the Holding and Valuation of land in Scotland. Your attention will be called to measures for further associating the people of Ireland with the management of their domestic affairs, and for otherwise improving the system of government in its administrative and financial aspects. Proposals will also be submitted for effecting a reform of University education in Ireland, whereby I trust that the difficulties which have so long retarded the development of higher education in that country may be removed. You will also be invited to consider proposals for the establishment of a Court of Criminal Appeal, for Regulating the Hours of Labour in Mines, for the Amendment of the Patent Laws, for improving the Law relating to the Valuation of Property in England and Wales, for enabling Women to serve on Local Bodies, for amending the Law affecting Small Holdings in England and Wales, and for the better Housing of the People. I commend all your arduous labours to the continued blessing of Almighty God. Below is the text of the speech made by King Edward VII in the House of Lords on 19 February 1906. The lamented death of the King of Denmark, to whom I was united by the closest ties of family and affection, has caused Me much sorrow, and I feel convinced that the sympathy of the country will be extended to Queen Alexandra, who, in consequence of Her severe bereavement, is prevented from accompany Me on the important occasion of the opening of the new Parliament. The Prince and Princess of Wales left last autumn for India, and are visiting as many portions of My vast Empire as time will admit of. The reception they have met with from all classes has been most gratifying to Me, and I trust that their visit will tend to strengthen, among My subjects in India, the feeling of loyalty to the Crown and attachment to this country. It was with real satisfaction that I received the King of the Hellenes, who is so closely related to Me, as My guest during the autumn. His Majesty’s visit will, I am confident, confirm the friendly ties which have so long governed the relations existing between the two countries. My relations with Foreign Powers continue to be friendly. I rejoice that the war between Russia and Japan has been brought to an end by the satisfactory conclusion of the negotiations commenced last August, and due to the initiative of the President of the United States, which resulted in an honourable peace. An Agreement has been concluded with the Government of the Emperor of Japan prolonging and extending that which was made between the two Governments in January 1902. Its text has already been made public. The Conference summoned by the Sultan of Morocco to consider the introduction of reforms into his Kingdom has assembled at Algeciras, and Delegates from the Powers Signatories of the Madrid Convention of 1880 are engaged in deliberations, which still continue. It is earnestly to be hoped that the result of these negotiations may be conducive to the maintenance of peace among all nations. The dissolution of the union between Sweden and Norway has been peacefully accomplished, and, in accordance with the declared desire of the Norwegian people, My Son-in-law and Daughter, the Prince and Princess Charles of Denmark, have ascended the Throne of Norway as King and Queen. The insurrectionary movement in Crete has subsided, and the four Protecting Powers have appointed Commissioners with a view to the introduction of reforms in the island. The condition of the Macedonian vilayets, though in some respects improved, continues to give cause for anxiety. The Sultan has agreed to the appointment of an International Financial Commission to supervise the financial administration of these provinces, and I trust that this may lead to the introduction of salutary reforms and the improvement of the condition of the population. Papers will be laid before you respecting Army administration in India. In order to establish responsible government in the Transvaal Colony, I have decided to recall the Letters Patent which provided for the intermediate stage of representative government, and to direct that the new Constitution be drawn up with as much expedition as is consistent with due care and deliberation in all particulars. The elections to the first Legislative Assembly, which had been expected in July, must accordingly be postponed, but it is not anticipated that the additional delay need extend beyond a few months. The directions which have been given that no further licences should be issued for the importation of Chinese coolies will continue in force during that period. A Constitution granting responsible government will also be framed for the Orange River Colony. It is my earnest hope that in these Colonies, as elsewhere throughout My dominions, the grant of free institutions will be followed by an increase of prosperity and of loyalty to the Empire. The Colonial Conference, which, in existing circumstances, cannot be held this year, has been postponed until the early part of next year, with the concurrence of the Colonial Governments concerned. 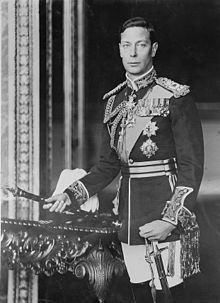 Below is the text of the speech made by King George VI in the House of Lords on 26 October 1948. The Session beginning to-day opens in a troubled world still suffering from the ravages of war. To spend all our energies on repairing these ravages has been our constant desire, but we have been hindered by distrust and dissension between the nations. Yet, with mutual confidence and goodwill, the problems now facing us would not defy solution, and the peoples of the world would be able to live in peace and enjoy the fruits of their labours. 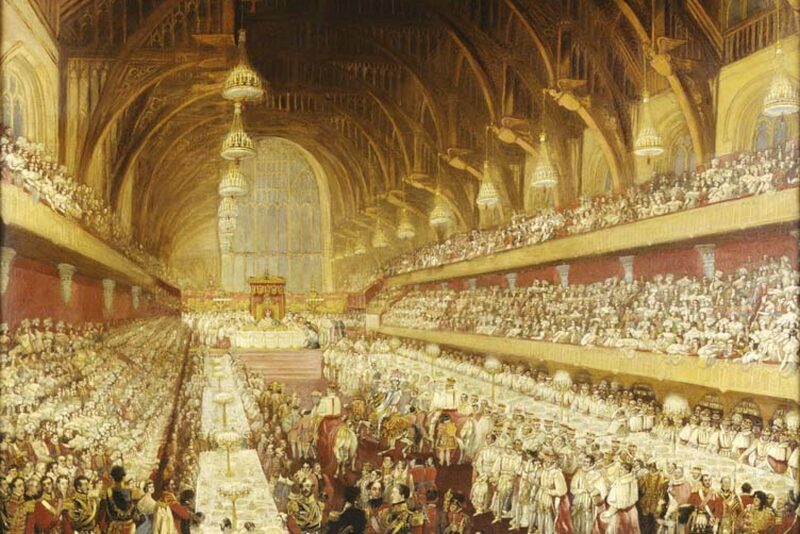 Meanwhile, as the recent meeting in London of Prime Ministers and their representatives has shown, the peoples of My Commonwealth offer an example of voluntary and useful co-operation. My Government will continue to work closely and harmoniously, within the framework of the Treaty of Brussels, with the other Governments which are parties to it; to give full support to the United Nations, and to strive to fulfil the aims of world peace and well-being set forth in the Charter. In the Western Zones of Germany, economic revival has begun. Currency reform has brought stability and renewed faith in the value of money. The Germans themselves are working hard to design a democratic constitution for Western Germany. In Berlin, however, a difficult situation has arisen as a result of the action of the Soviet Government in cutting surface communications between the city and Western Germany. My Government hold the view that this action constitutes a threat to peace and therefore referred the matter to the Security Council of the United Nations. The resolution of the Security Council has been vetoed by the Soviet representative, and the situation thus created is under consideration by My Government in consultation with the two other Governments concerned. Meanwhile, Berlin is being supplied by air; and aircraft from the United Kingdom, some of them flown by crews from other Commonwealth countries, are combining with those of the United States to keep Berlin linked with Western Europe. The Queen and I look forward with pleasure to visiting Australia and New Zealand next year. We shall welcome this opportunity of meeting again My peoples of those countries, whose generous support both in war and peace has never failed us. Legislation will be laid before you to give effect to whatever decisions may result from the negotiations for admitting Newfoundland to the Canadian Confederation. My Ministers will continue to devote themselves to the problem of the balance of payments. Fortified by the generous aid of the United States, and working together with the other members of the Commonwealth and of the Organisation for European Economic Co-operation, we shall hope to progress further towards paying our way abroad and restoring the prosperity of our country and the world. It is only by our continued exertions and self-restraint that we shall win through. Inventive thought matched to hard work is necessary to enable workers and management, in common effort and counsel, to make the fullest use of our available resources. By increasing the individual contribution of skill and labour, we must build up our production still further. My Ministers are taking steps to ensure that My Armed Forces shall be efficient and well equipped, and that the best use shall be made of men called up under the National Service Act. Recruiting for the Regular Forces will be stimulated, and the Reserve and Auxiliary Forces will also be built up. A Bill to amend the Territorial and Reserve Forces Act will be laid before you. You will be asked to consider a measure for the future organisation of Civil Defence. The Estimates for the public services will be laid before you in due course. You will be asked to consider further the Bill to amend the Parliament Act, 1911, on which during the last two Sessions your Houses have disagreed. A measure will be laid before you to bring under public ownership those companies extensively engaged in the production of iron ore, or of pig iron or steel, or in the shaping of steel by a rolling process. Legislation will be introduced to establish national parks in England and Wales; to improve the law relating to footpaths and access to the countryside; and to ensure the better conservation of wild life. You will be asked to consider proposals for making legal aid and advice more readily available to persons of small or moderate means. Legislation will be introduced to improve the organisation of Magistrates’ Courts in England and Wales and to amend the law relating to Justices of the Peace. A Bill will be laid before you to provide for the payment of jurors and for the abolition, with limited exceptions, of special jurors. Measures will be laid before you to extend the powers of local authorities in regard to new housing, and to promote the improvement of existing dwellings by local authorities and by private owners. You will also be asked to pass a measure to provide for reviewing the rents of shared rooms, and of houses and flats let for the first time since the war. Legislation will be introduced to change the constitution of the General Nursing Council and to provide for the better training of nurses. A Bill will be laid before you to amend and consolidate the law of patents and designs. Legislation will be introduced to protect the coast from erosion by the sea. Bills will be laid before you to modify the constitution and powers of producers’ marketing boards; to encourage the development of the white fish industry, and to provide for safer milk. You will be invited to pass a measure to enable My Government to ratify an international convention on safety of life at sea. You will be invited to consider Bills to improve water supplies in Scotland, and to amend the Scottish criminal law. Other measures will be laid before you if time permits; and it is hoped to make further progress with the task of consolidating and revising the Statute Law.